Many injuries happen when they are least expected. When it comes to your eyes, it doesn’t take much impact or exposure to certain hazards to cause injury to them. Many eye injuries require immediate treatment to minimize any damage. Your eyesight is precious. No matter what activities you engage in, you should do what is necessary to protect your eyes at all costs. Wearing protective eyewear when engaged in activities in the home, while at work or while playing sports can help ensure your vision remains safe and at its best. Most eye injuries can be prevented with proper eyewear. Contacts and regular glasses should not be used as a replacement for eye protection as they fail to guard the eyes and may become a secondary hazard. At Kniaziew Optometry, we recommend you have your eyes examined every one to two years. You should also invest into your vision and eye health by wearing proper eyewear. No matter what industry you work in or activities you participate in, protecting your eyes with safety eyewear is one of the safest and most proactive ways you can prevent eye injuries that could affect your vision and lifestyle. When you are going to be exposed to dust, particles, dirt and other flying objects, you shuld wear strong impact safety eyeglasses that have side shields. If you are working or staring at a computer for extended period of time, wear special glasses that have computer screen glare protection built into them. Wear sunglasses or eyeglasses that have UV protection built into the lenses to protect your eyes from the sun’s ultraviolet rays. Not keeping your eyes properly protected during sun exposure can lead to cataracts, damage to the retinas and vision loss. There are many kinds of safety and protective eyewear you can use to protect your eyes. Safety glasses and eyewear are much stronger than regular eye glasses and can be equipped with several types of lenses, including polycarbonate, glass and plastic to make them more attractive and appealing. ARE THERE ANY RULES AND REGULATIONS FOR PROTECTIVE EYEWEAR? In Canada, manufacturers normally follow the ANSI, CSA and ASTM. However, eyewear following CEN and SANZ are safe to use. WHERE CAN I BUY PROTECTIVE EYEWEAR? Protective eyewear can be purchased at a retailer. However, if a person requires a prescription for protective eyewear, Kniaziew Optometry can provide both the frames and lenses. Purchasing your protective eyewear from Kniaziew Optometry will ensure the fit is correct and comfortable. For example, the nose pad for goggles should be on the ridge of the nose. If the fit is incorrect, an associate at Kniaziew Optometry can make the proper adjustments or provide suggestions for a different frame. This is something a retailer IS NOT trained to do. Additionally, any activity or job that is hazardous to the eyes carries its own set of regulations. Therefore, it is important to check the labeling to ensure you are buying standard-compliant eyewear for the specific activity you will be doing. 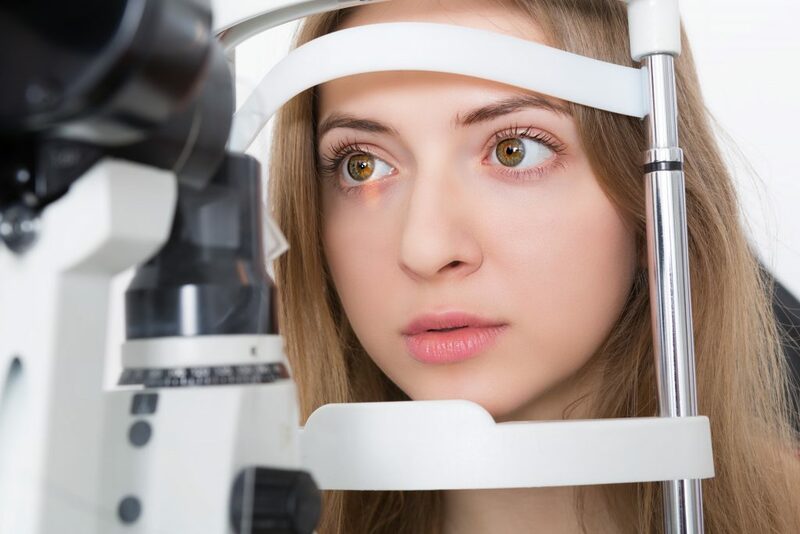 A Kniaziew Optometry doctor will be able to determine the right standards to follow, making sure you choose correctly. HOW LONG SHOULD PROTECTIVE EYEWEAR LAST? As a result, prescription and non-prescription eye protector lenses should be replaced after 2 years. However, in some cases, more frequent replacement is necessary. Make sure to check your protective eyewear for damage before every use. If a part is damaged and cannot be entirely replaces, the eye protector is ineffective and should be thrown out. Continued wear after damage becomes a secondary hazard to your eyes and surrounding tissue. WHAT SHOULD I LOOK FOR WHEN BUYING PROTECTIVE EYEWEAR? Also, a wide variety of materials are used for protective eyewear, with different levels of impact resistance. Depending on how the coatings are applied, add-ons like anti-reflection coating, combined with cushion and anti-scratch coatings may enhance the impact resistance.